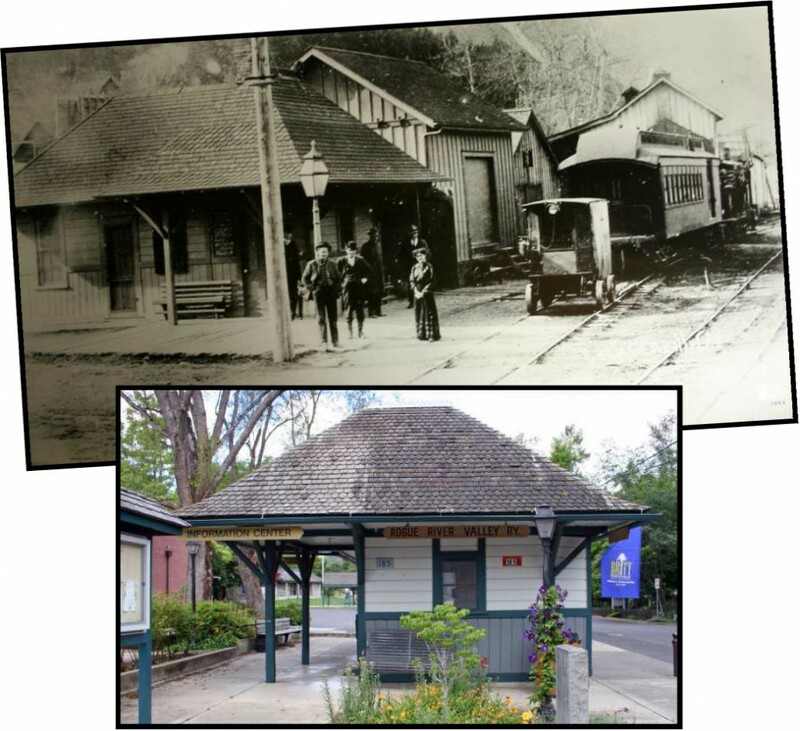 Rogue River Valley Railway Depot | Historic Jacksonville, Inc. The Jacksonville Visitor’s Center at the corner of Oregon and C streets was constructed in 1891 as the depot for the Rogue River Valley Railway. The depot originally faced Oregon Street and a small railway switching yard occupied the present day entrance to the post office parking lot. This spur line was Jacksonville’s last attempt to maintain its regional prominence after the main railroad line bypassed the town in favor of the flat valley floor.